Your optical dispensary and the styles you carry says a lot about your practice and the community you serve. While your patient schedule may have slowed down a bit with the start of summer, it doesn’t mean that there isn’t work to be done. You could use this time to refresh your optical dispensary to prepare for a successful back to school season at the end of summer. 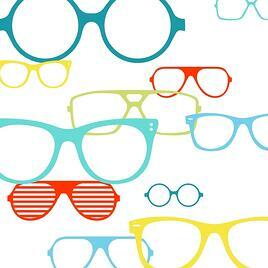 Below are some tips for making your optical shop a success in the summer months and beyond. It may have been a while since you took a look at your frame board and determined if the styles reflect your practice, your community, and your patient’s. But, you may have frames that haven’t sold in a while or only appeal to a few of your patients. Take a step back to reevaluate your frame styles and select the frames that will have the most success by meeting the needs of a larger number of your patients. If there are frames that your patients aren’t purchasing even though they align with their style needs, try to understand what’s keeping your patients from selecting them. Are they priced too high? Not the right color? Or, maybe they are placed in a section of the frame board with low visibility. To know whether your efforts are successful and worth your time, you have to make measurements based on past performances and set goals to surpass those numbers. Two metrics you’ll need to calculate to create a baseline and establish your summer goals are your optical capture rate and your inventory turn rate. Your optical capture rate identifies how many of your patients with a prescription get their prescription filled in your dispensary. The inventory turn rate lets you know if you’re keeping too many or too few frames in stock. Learn how to calculate these metrics here. Your patients are growing more impatient. Fast shipping from online retailers and digital media has decreased society’s willingness to wait. You can speed up the purchasing cycle by using an online ordering solution to order products online. Using an online ordering solution will help you get jobs back 1-2 days faster than if your placed orders over the phone and will provide you with a way to track your orders from one spot. Your optical shop competes with other practices in your community and with online retailers that cut into your profits by offering low-cost frames. Communicating with your patients to tell them how much value they are getting from purchasing frames for your practice. Because your patient demographics are diverse, deliver the value in a way that resonates most with the patient based on their wants, needs, and communication preferences. If your practice is located in an area where there’s a lot of foot traffic, then giving your window displays and frame boards a refresh for the season can improve your practice visibility and potentially generate more walk-ins. Download the 4 Weeks To Bigger Profits In Your Optical Dispensary ebook for additional tips on making your optical shop a success this summer!